To be able to successfully meditate you need a comfortable space that can truly define this activity. As it’s fully understandable to have places to eat or sleep in our home, it makes sense to have a dedicated space for meditation. Something like a sanctuary where you can enjoy profound stillness and tranquility. 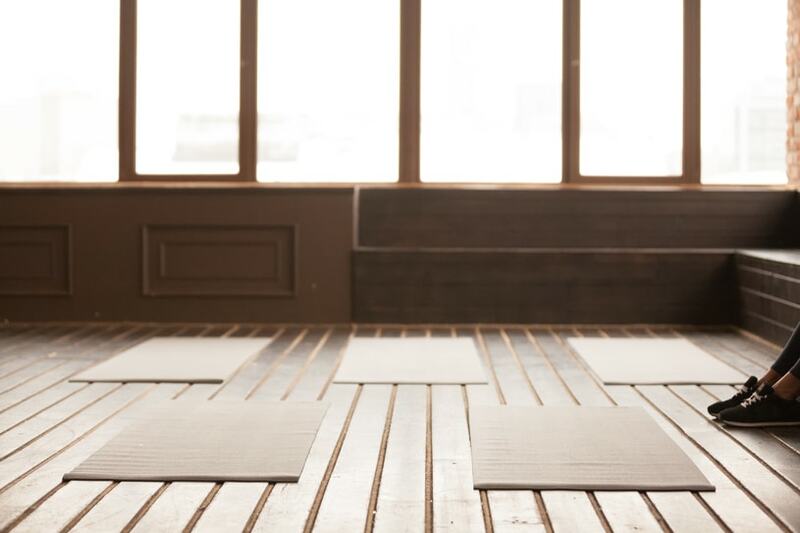 An important distinction to make here is that this meditation space allows you to just be in that place as opposed to other areas where you are engaged in a specific activity. Spending time in a mindful environment has great benefits for your mental wellbeing. It can also help you stick to a habit of meditating to cultivate your awareness. Relaxing in your own Zen space enables you to pay more attention to your experience. When the rest of your day is dominated by noise and agitation you can’t just simply stay in that same space and try to disconnect and meditate. Places associated with energy and activity need to be entirely separate from your personal meditation spot where you can enjoy your mindfulness practice in absolute peace. 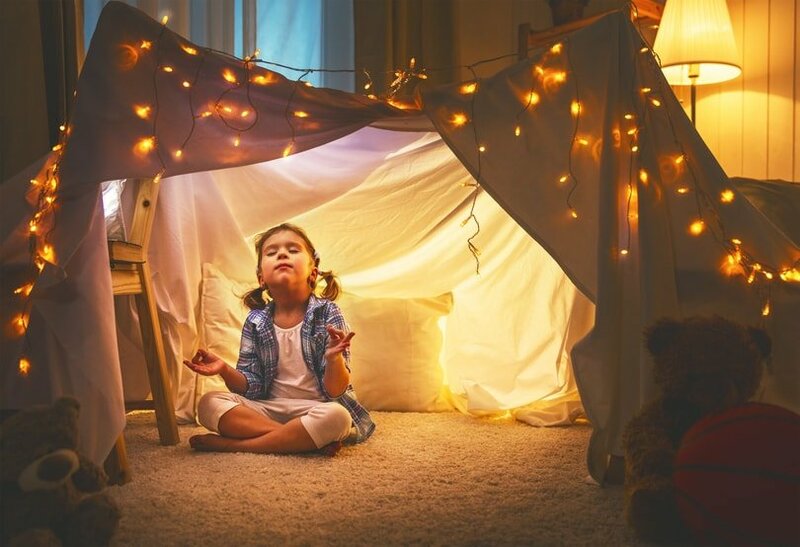 As most people may not have enough space available to set aside an entire room of their house for meditation, you can at least transform a small corner of a room into your mindfulness oasis. This will be the place where all stressful emotions can be fully banished and where you can only focus on breathing and emptying your mind. 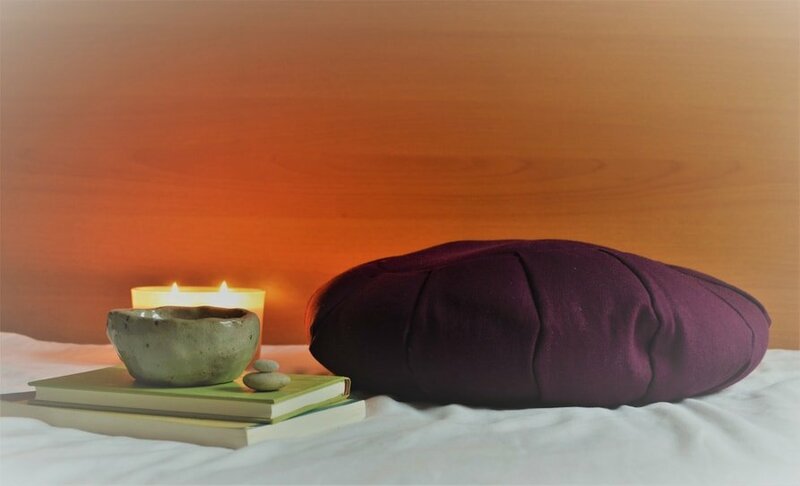 If you’re lacking inspiration for creating the perfect meditation space and need some thoughtful design ideas, we’ll explore some of the best tips that can help anyone bring some Zen vibes to their room. While you can stumble on many people advising you to get as much space available for creating your meditation zone, the truth is that you don’t actually need a ton of space for this purpose. If you can at least sit comfortably and potentially stretch a bit, that should be more than enough. This is why you need to learn to take advantage of corner space which can easily be converted into a serene area. Smaller apartments, in particular, can benefit from the valuable space provided by the corners in the room. Once you’ve decided on the ideal room to use for your meditation spot, you should simply focus on freeing a corner. Ideally, you should use a corner that’s close to a window to allow natural light in. And this gets us to the next important point. It’s highly recommended to choose a spot where natural sunlight can shine down on you during your mindfulness sessions. The boost in vitamin D production is not just healthy for your body, but can certainly help your mood and make you feel more energized. With a good view of the natural world, you can also observe elements such as clouds – something that can contribute as well to getting you into a mood for meditating. There’s nothing more distracting for your mind than a cluttered space. This is an important step in creating your personal meditation space. You have to clean the entire room and make that dedicated spot free of clutter. Keep only a minimal amount of ‘extra’ items. Even the rest of the room should follow suit and contain strictly the essential objects. Some of the basic items that you should keep around are a yoga mat and a small table. Don’t forget about a solid meditation cushion. Here’s our favorite model found on Amazon. Stick only to the essential objects that can help you achieve your meditation goals. Colors are considered important décor elements when it comes to creating your own meditation area. This is because, depending on your choice, colors can support your energy or elicit particular feelings. 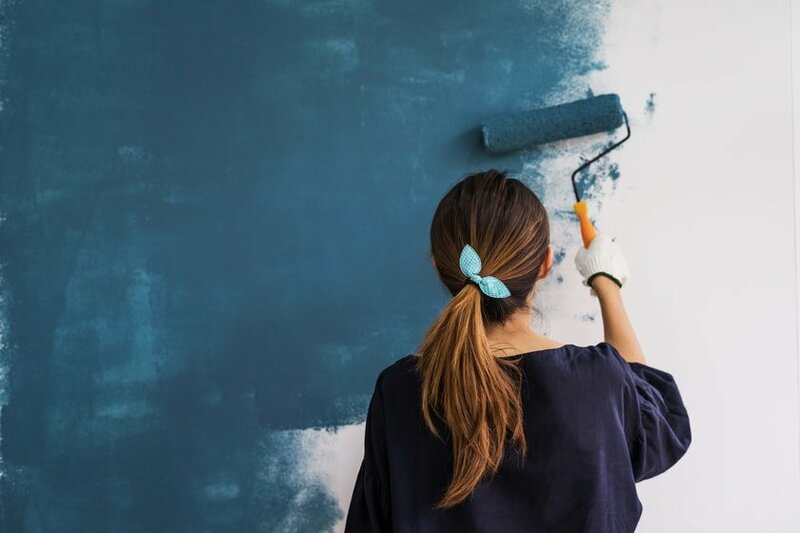 We’ll take a look at the best color options for painting your walls near the meditation spot. It’s not mandatory to choose a specific color, but it can be helpful to know the effects of these shades on your mood. One of the best choices is blue as it’s been traditionally associated with calmness and serenity. If those are the kind of feelings you wish to experience when meditating, blue walls can help you achieve that. Be careful about the specific shade though. Blues that are too dark might have an unexpected effect and make you feel sad. Go for lighter and warmer blue hues to avoid depressing feelings. Some people might prefer yellow for their meditation spaces. This is because they want to make their tranquil oasis feel more exciting and fuller of energy. Painting the entire wall in a bright yellow can be a little too distracting for a meditation area. It’s probably best to stick to accent elements. A few yellow details can add a great richness to the meditation corner. 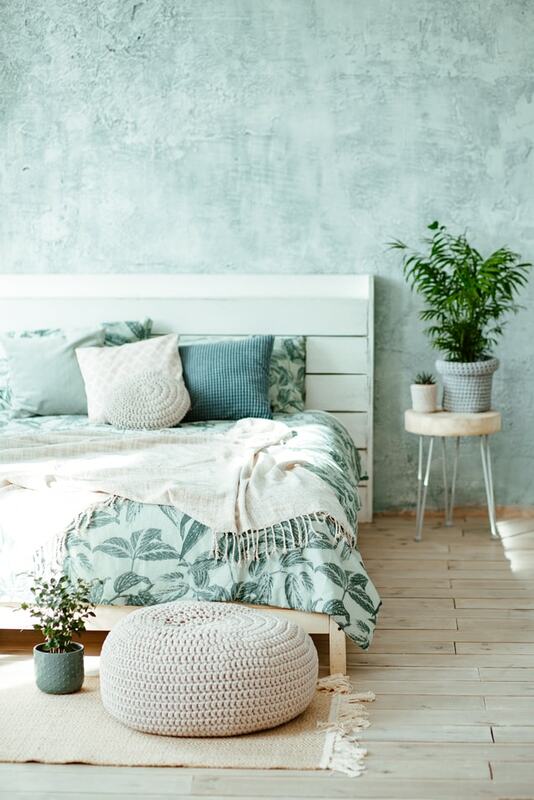 As meditation relies a lot on natural elements, you can also choose some lively green elements to incorporate into the décor of your serene space. By adding lots of green plants, you can create a calming effect without sacrificing the levels of energy in the place. 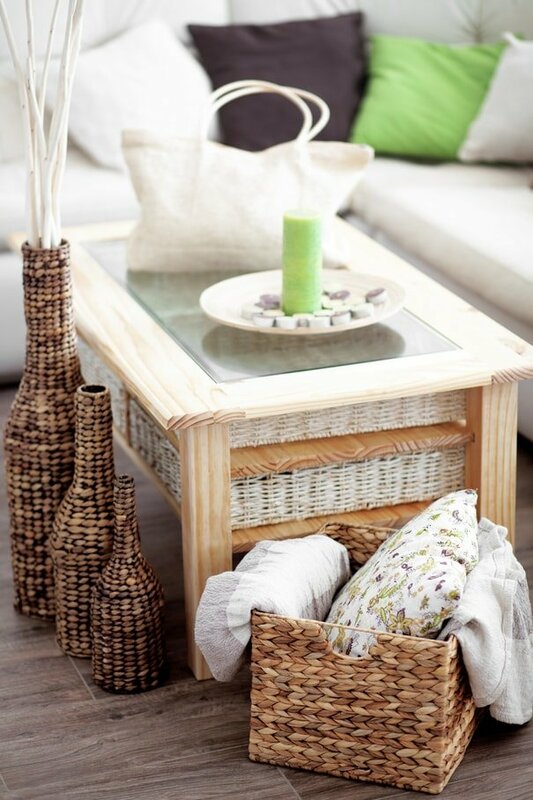 Green is recommended for any meditation corner as it usually evokes relaxation and encourages unwinding. If going for a complete color makeover sounds like difficult work, you can always just stick with neutral tones. This is especially recommended for those who need to share the room or can’t change the color of the wall. 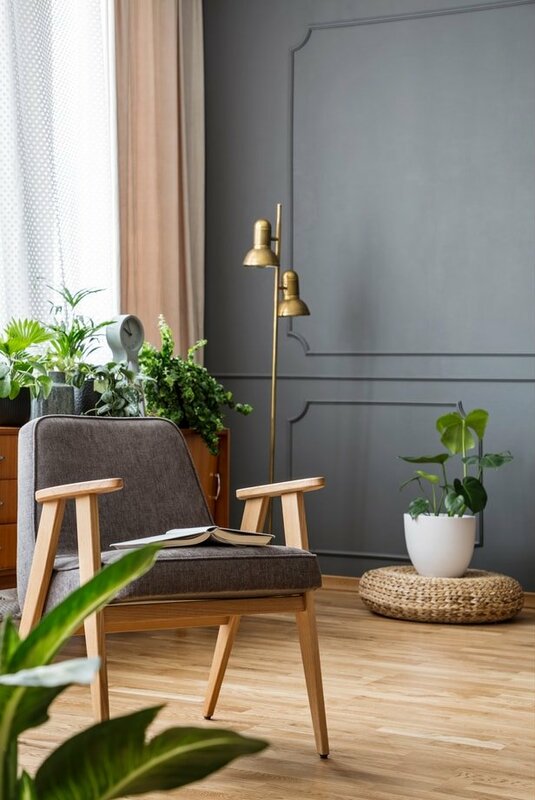 You can take advantage of the versatile nature of neutral color tones as they can be accented with your favorite shades for enhancing the mood of your meditation corner. 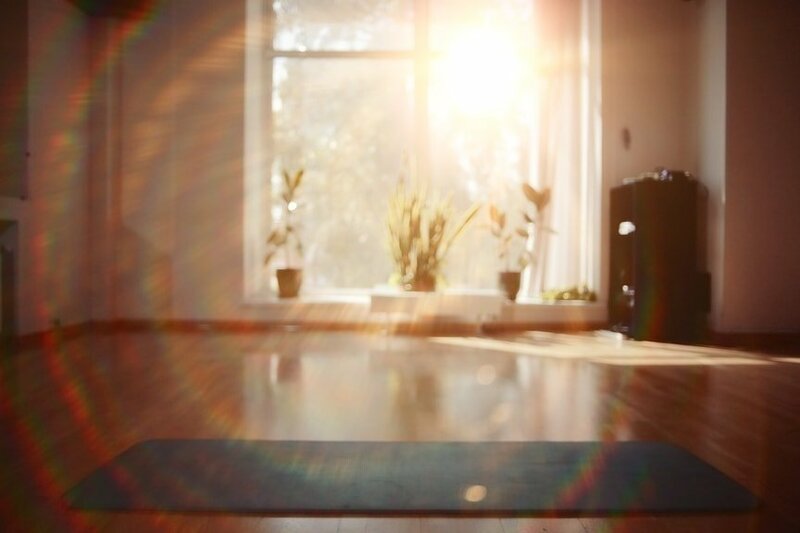 While having natural light is recommended for your meditation space, it’s also important to find a good balance. You might feel cozier if you treat the window to create a light diffusion effect which you can control according to your needs. In case you aren’t able to enjoy natural sunlight, there are some tricks you could try to use artificial lighting in a fitting way for your serene area. By choosing either dim or bright light fixtures you can obtain a neat effect for your tranquility zone. Some people prefer dimness as it might be less distracting and more comforting while others could go for brighter lighting to suit their more energetic mood. Regardless of your inclination, it’s a good idea to have both options available to change it according to your mood swings. Himalayan salt lamps represent our favorite lighting recommendation when it comes to meditation. Their soft red glow can bring peace to your mind and the natural carvings fit well with the rest of the decor in any mindfulness area. As a bonus, this type of lamp is also capable of keeping your air fresher and can help people with allergies. We recommend a dimmable model like this Himalayan salt lamp from Levoit. A good element that shouldn’t miss from your meditation space is aromatherapy. The use of essential oils has a great effect on your mind and body. Burning candles and incense together with soothing fragrances can really allow you to relax and forget about your worries. Scents can be perfect when you wish to channel your moods and generate a sense of calmness. It’s quite easy to enjoy the therapeutic benefits when you’re meditating. 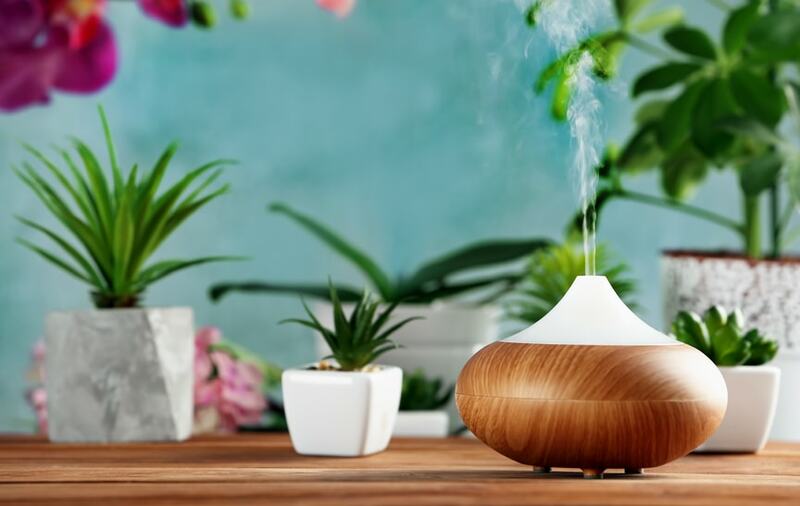 If your available space is limited, or you wish to keep things uncluttered, just a quality aromatherapy diffuser should suffice. A great pick is this bamboo model which performs great while looking stylish. 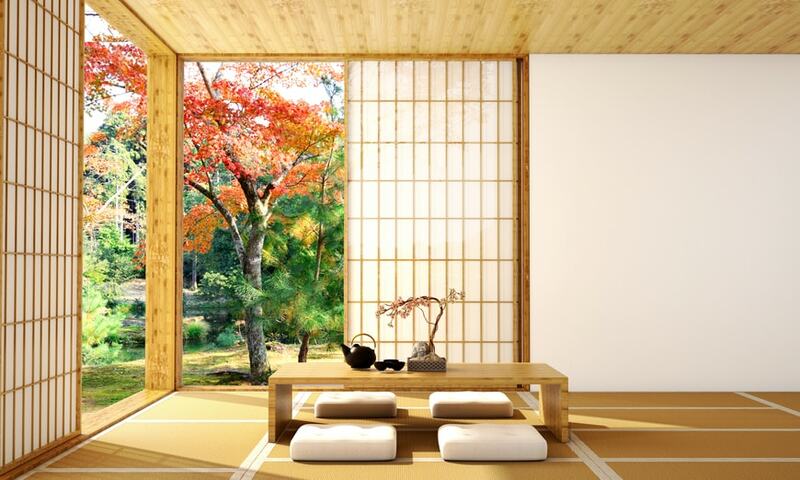 Two interior design trends that can both work well on a meditation space are using classic Asian elements or going for a more modern approach. If you prefer the traditional route, it’s important to add some characteristic elements such as bamboo mats and lantern-style lighting. To complete the inviting atmosphere, make sure you select warmer hues for the architecture. 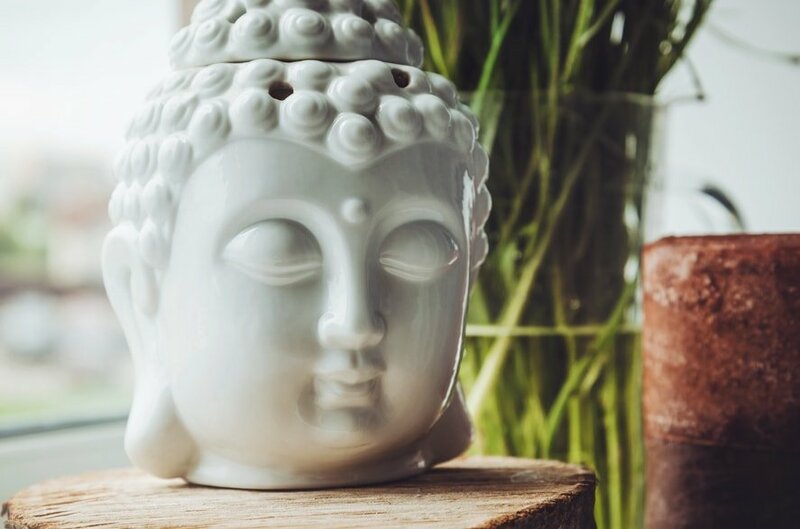 Having a focal point can also be useful when meditating and that’s why we recommend a Buddha statue that can exude an aura of peace. Here’s a well-finished model from Amazon. While traditional elements have their own appeal, there are also people who prefer a more contemporary look for their serene space. Essentially, the same principles of minimalism apply, but with a more modern flavor. Keeping the space empty and uncluttered is highly recommended. To let your energy flow effectively, you can consider installing a custom screen to filter natural light. A simple, comfortable chair should suffice when it comes to furniture, or you could go for a comfortable yoga mat. We’ve mentioned the visual importance of green plants, and now it’s time to expand on this effect. Natural elements shouldn’t miss from your meditation corner as you need to maintain a firm connection to the organic world. Some may argue that this is really the point of meditation – to connect and harmonize your mind and body with nature and the surrounding atmosphere. Bringing some plants nearer can help in that regard. You can get really creative here if you have some extra available space. For example, try hanging some large plants or adding a vibrant moss wall. If you wish to go the extra mile, consider getting a water fountain. Hearing the soothing sounds coming from the light water trickle of an indoor waterfall should really contribute to reaching your meditation goals. Take a look at this great Buddha water fountain. It can be used both indoors and outdoors. Another essential natural element that you should try to integrate into your meditation space is fresh air. As not everyone can create a tranquil oasis outside, you can at least ensure that your indoor meditation spot is properly ventilated. Fresh oxygen is able to clear your mind and let you concentrate more effectively. If there are no windows around, you could try adding a quiet fan with air purifying features. This is the kind of product we had in mind – check it out on Amazon. 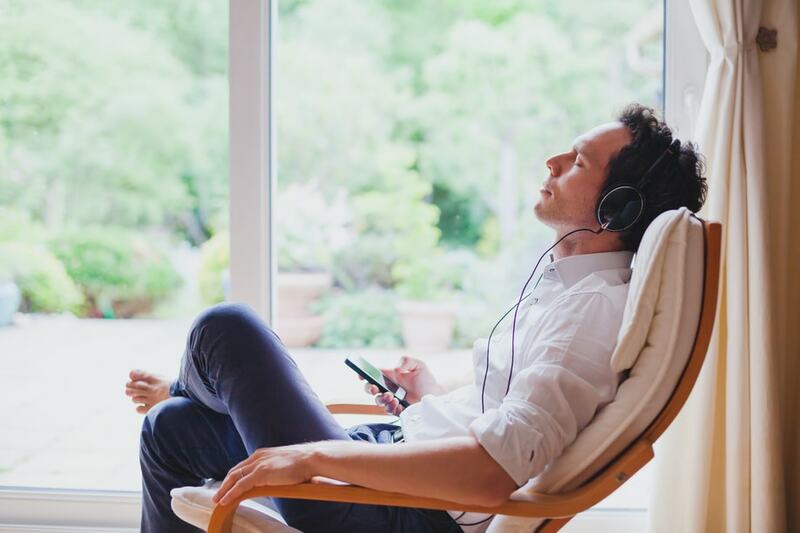 Having meditative music is entirely optional, but some people will really appreciate hearing a relaxing sound that can drown out unwanted noises coming from outside. Music is also capable of minimizing distractions coming from your own house. You don’t have to struggle with finding the right meditation music as you can easily find lots of calm and serene melodies on YouTube. It’s also not required to go for the usual meditation music or classical stuff. You can play any music that relaxes you, though it’s strongly recommended to avoid songs with lyrics. If music doesn’t really help, another great option is to listen to nature sounds such as rain, birds singing, and beach ambiance. Many YouTube channels like this one provide long enough videos to cover your entire meditation session with soothing sounds of nature. 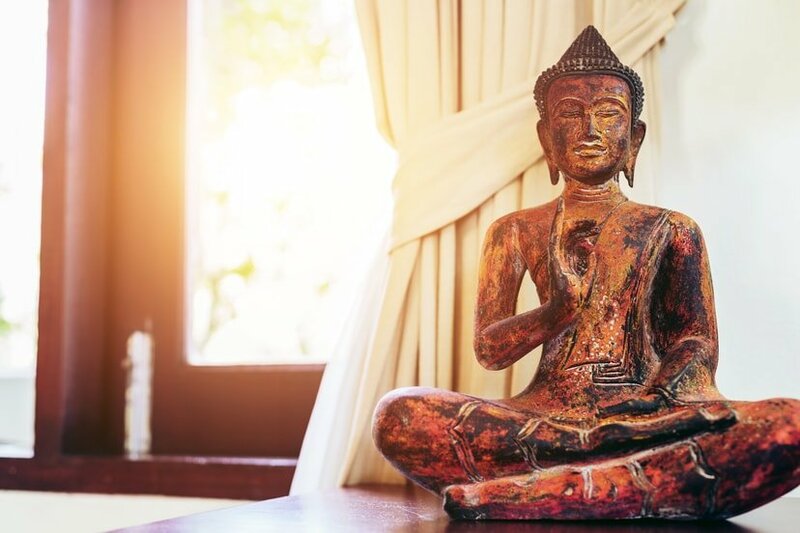 Integrating all kinds of inspiring decoration ideas into your meditation space will help you achieve your dream sanctuary. While that’s highly recommended, it’s also important to ensure that this space retains some personal elements. Having some unique items that have great meaning to you will allow you to enjoy your mindfulness sessions better. There isn’t something specific that you should consider as you can choose any element that has a positive effect on your body and mind. Whether it’s an object, smell, or sound, it doesn’t matter. It only has to be something that’s particularly meaningful for you. 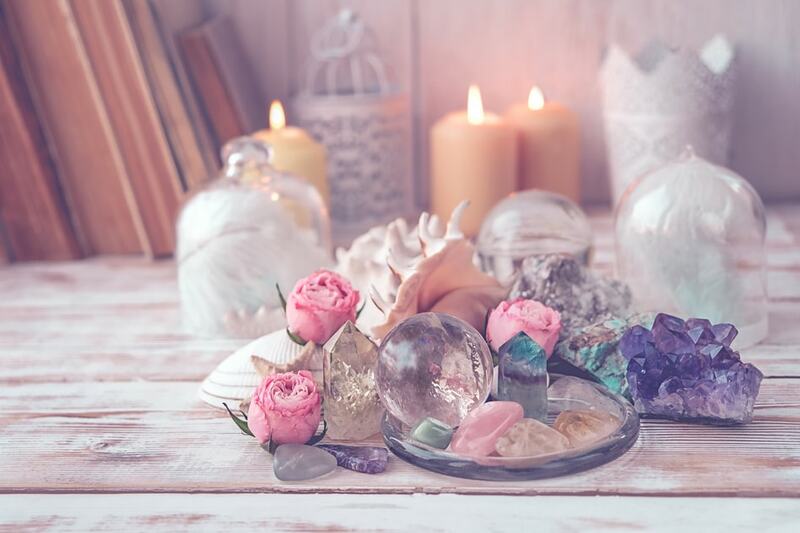 Place some bells, crystals, artworks, or anything that allows you to focus on becoming more aware. Aside from items that can help you meditate, such as a music player, it’s highly recommended to keep electronics far from your meditation corner. You will shortly realize that you can stay more focused on your mindfulness journey without these kinds of distractions. 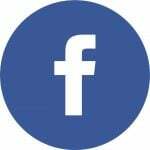 Emails and messages can wait while you’re engaged in your meditation sessions. By adding a ‘no technology’ rule you can more clearly separate the meditation space from the rest of your room and house. Watching TV or playing video games can be relaxing experiences as well, but they’re clearly different and shouldn’t be associated with your serene area.